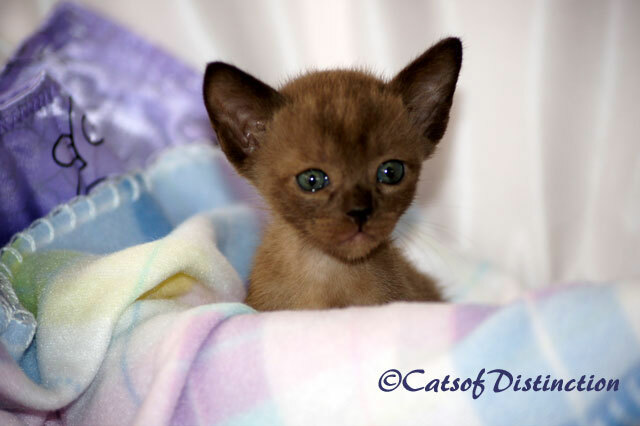 Welcome to Cats of Distinction Incorporating Kachelle Siamese, Orientals and Foreign Whites & Pawsawhyl Burmese and Tonkinese. My name is Michelle, I have been breeding Siamese cats since 1994 and proudly registered with GCCFV for many years. My Prefix is Kachelle which was formed from part of my mother’s name and part of my name. My mother plays an important part in my life and cattery and although she no longer goes to shows she has an interest in what I do. I have shown in every State of Australia and have had some very good cats, which have gone on to become Gold Champions. I have also been breeder of the year several times and bred cat and kitten of the year a couple of times. In 2000 I was given my first Burmese girl again from Mavis. Her name was Maydar Gypsophyla, a chocolate girl, with outstanding type and I have been breeding Burmese ever since. Still my main love is Siamese and I am very passionate about trying to breed for health, temperament and type in that order. I would like to thanks all those people who have helped me along the way with words of encouragement, wisdom or trusting me with their valuable bloodlines. I hope you enjoy my webpage. For enquiry regarding Siamese Kittens, Burmese Kittens, Orientals Kittens, Foreign Whites Kittens or Tonkinese Kittens please contact Michelle via phone or email. All contents & images on this site remain the property of CatsofDistinction.com.au or otherwise stated, no unauthorised reproduction is permitted.